Even before Brandi had left the rainy mountains of North Vancouver, the young bassist had spent many afternoons listening and dancing to her mother's vinyl LP's in the piano room of the family home including the sounds of Oscar Peterson, Bird and Duke Ellington. 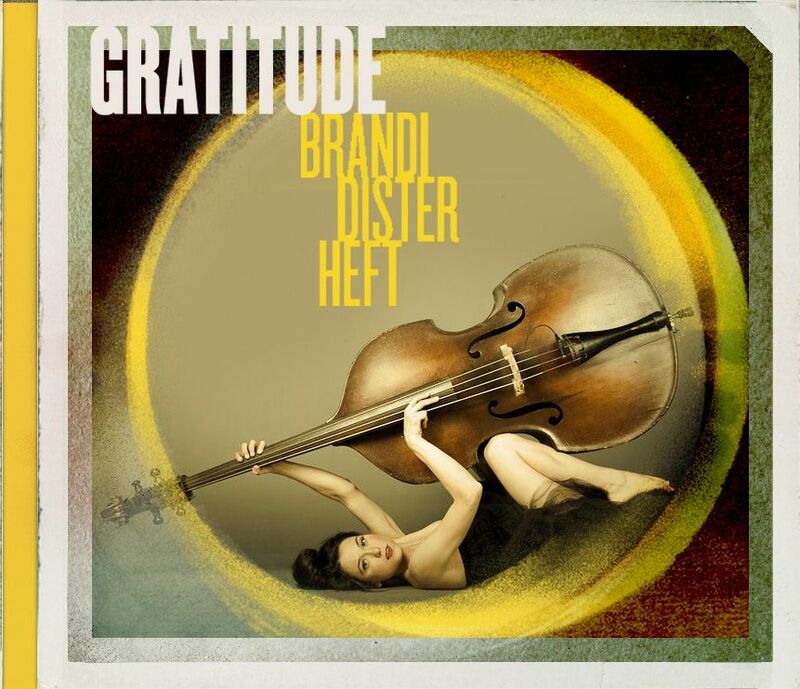 Brandi's breathtaking new album "Gratitude" takes the listener back to the roots of jazz, or according to the bassist, back to Brandi's family's music room. With the New Orleans influenced horn arrangements such as the reflective, celebration of her cousin's life, title track Gratitude, to the up-tempo, swinging and fiery Portrait of Duke, Brandi features an all-star band including Renee Rosnes, piano, Gregory Hutchinson (Ray Brown's drummer), drums, Sean Jones (former member of Wynton Marsalis' Lincoln Center Orchestra), trumpet, Vincent Herring, (Cedar Walton's saxophonist) alto saxophone, and Anne Drummond (Kenny Barron's flautist), bass and alto flute. Blues for Nelson Mandela features Brandi utilizing a moaning Arco melody emulating the years Mr. Mandela spent dedicated to his fight for freedom. Brandi brings out the "Mingus soul" in her bass playing while her ambient and dreamy voice takes the listener down the path of lover's lane. Singing in both English and French, "Le Regarder La Rencontrer Encore (Rendez-vous Indésirable)" is the pivotal, epic love ballad featured on the album where Brandi weaves her mourning vocal style reminiscent of Billie Holiday with the lyrical elegance of Leonard Cohen.